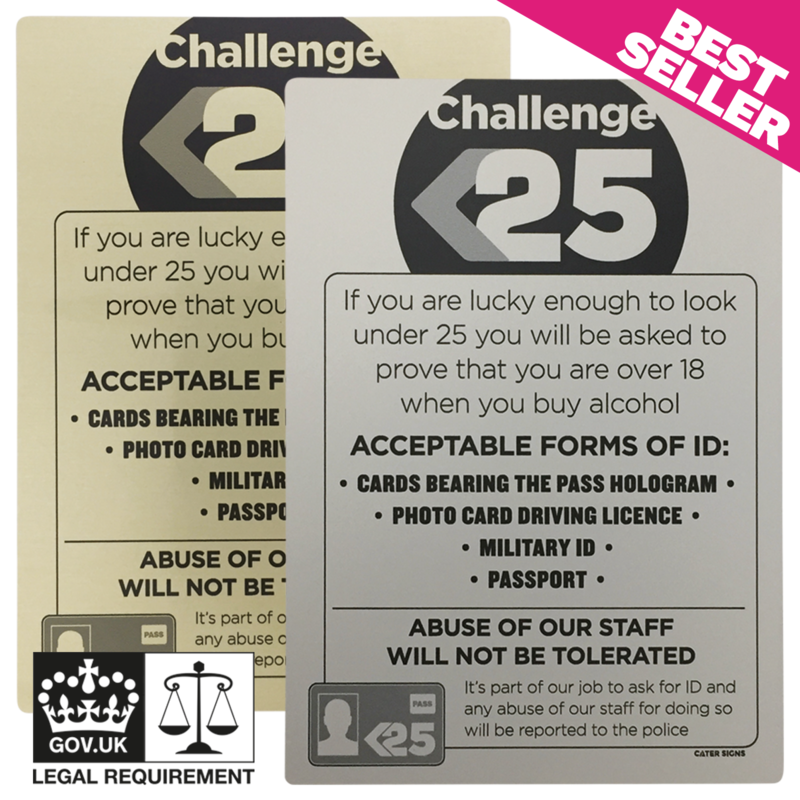 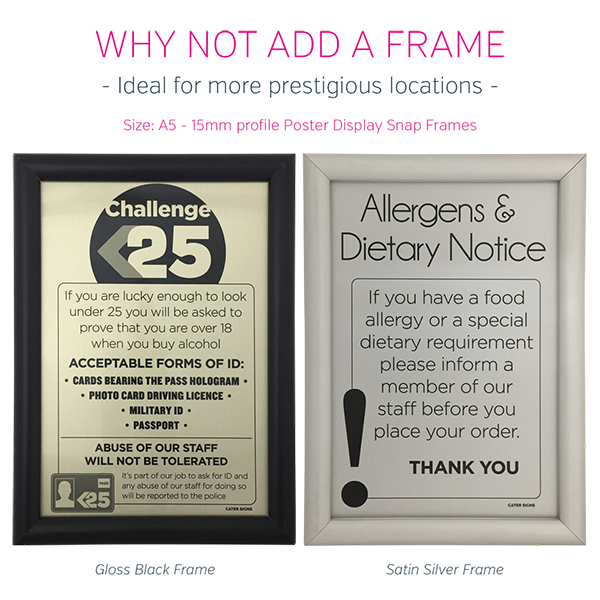 Display a challenge 25 sign in your bar to show your customers that your staff will ask for proof of ID from any customer who looks under 25 years old. 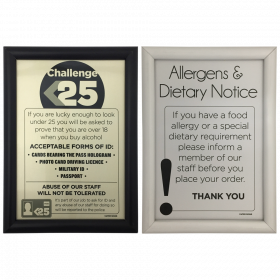 As well as this, to promote a better atmosphere, display your staffs right to refuse service to customers displaying drunken behaviour. 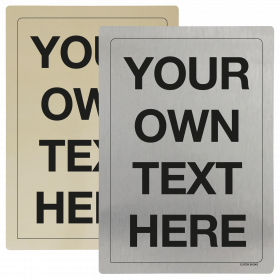 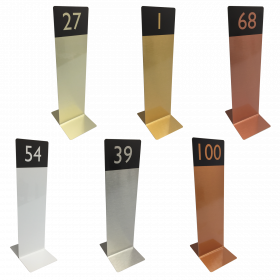 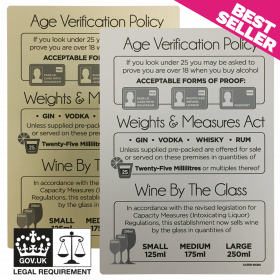 These premium metal bar signs are available in a champagne gold or satin silver finish and are required by law as part of your Age Verification Policy to be displayed in any establishment in relation to the sale or supply of alcohol.